This internship has been created for KU students in a partnership between the International Relations Council (IRC) and KU’s Global & International Studies Program. The IRC, a 60-year-old nonprofit organization, leads conversations around foreign affairs, global issues, and international relations and their connection to the local community. They work in partnership with businesses, universities, community organizations, and K-12 schools to bring a global perspective to Kansas City. Students may intern in one of the following areas: communications, community, events, global education, social media/web, marketing, digital resources, audio/video production, or fund development. Learn more about IRC at irckc.org. Visit the internships page for details on specific positions. 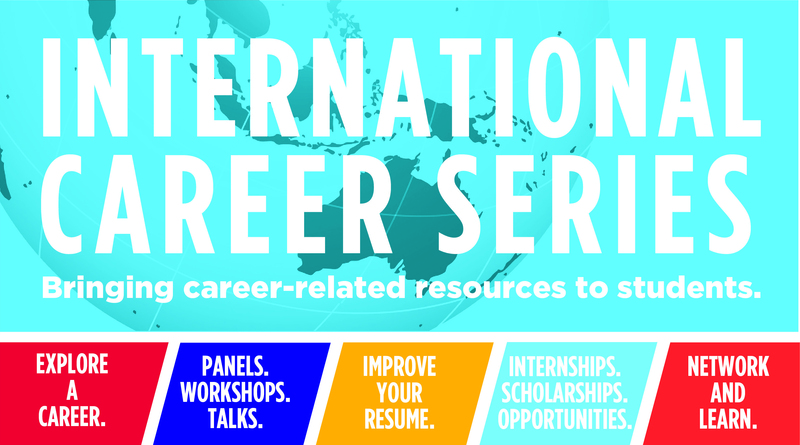 This is an unpaid internship but the student may receive academic credit by enrolling in GIST 495: Global Internship. Requirements: Student must be a KU junior or senior in good standing, enrolled in no more than 15 credits. The internship will take place in downtown Kansas City, MO for 10-15 hours/week during the fall and winter semesters and 15-20 hours/week during summer semesters. When you apply, please be sure to make clear the internship(s) and semester(s) for which you would like to be considered. You may apply for up to two different positions with the same application; please be sure to follow instructions for each position. ​To apply, please send your resume, a letter of interest, and if required, a work sample (see individual descriptions for requirements) to mhughes@irckc.org. Please put "Internship Application Summer OR Fall" in the subject line and copy jduhamel@ku.edu as well. This internship has been created for KU students in a partnership between People to People International (PTPI) and KU’s Global & International Studies Program. PTPI creates lasting cross-cultural connections between citizens around the world to help them explore global issues and enrich their communities. PTPI’s network of chapters and members spans across 160 countries. Interns may do any of the following: assist in organization/coordination of events, assist in communication with chapters around the world, collect/track data on projects, edit reports, and implement strategic planning. For more information about PTPI, see www.ptpi.org. This is an unpaid internship but students can receive academic credit by enrolling in GIST 495: Global Internship. Requirement: be a KU undergraduate student in good standing, enrolled in no more than 15 credits. Preferences: junior/senior status, study abroad experience. The internship will occur in downtown Kansas City, MO for 15 hours per week during the fall, winter, and summer semesters. To apply, please send your resume, a letter of interest, and a list of 3 references (with their contact information) to kristiejeanes@ptpi.org. Please put "Internship Application Summer OR Fall” in the subject line and copy jduhamel@ku.edu as well.